Welcome to Applied Coatings Tech! Applied Coating Tech is a family owned company dedicated to fulfilling powder and specialty coating needs since 1995. We take pride in every part we work on, and will not be satisfied until our customer is happy. It is by holding this kind of high quality standard that we at Applied Coating have continued to grow and expand our business. Located in Frederick, Colorado and serving a radius of 25 miles for over 23 years, what sets us apart is our industry experience and capabilities. Our oven has an inside dimensions of 24' x 8' x 7', and we also have the ability to go longer when needed. At Applied Coating we major in our material handling . We have 5500# forklift with extensions for everyday unloading. We also have a 3-Ton hoist inside, which helps in lifting large and heavy items straight from your vehicle. 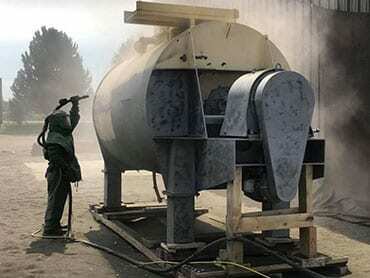 In addition to powder coatings, we also offer light fabrication, media blasting, and many other specialty coatings. We have an inside blasting cabinet for fine finish blasting, with the cabinet size being 6' x 6' x 6'. So let us redefine the longevity of your metals! By holding our standards to a very high quality we have continued to grow and expand our customer base. We take pride in every part we work on and will not be satisfied until the customer is satisfied. We opened our doors in 1995 and continue to expand and evolve. This company is awesome. We had some old Home crest patio chairs that were a bit beat up and we decided to have them powder coated. I called and left a message and Mike called me right back. We were able to pick out a color we wanted as well as the texture for the new coating. One week later we picked them up and were really impressed. The chairs look brand new! Mike and his staff were all super nice. 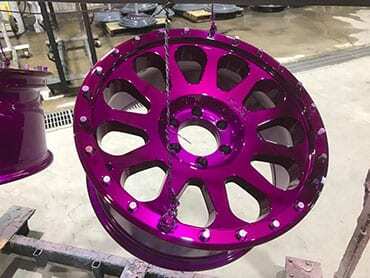 I would highly recommend this company if you're looking to powder coat anything. 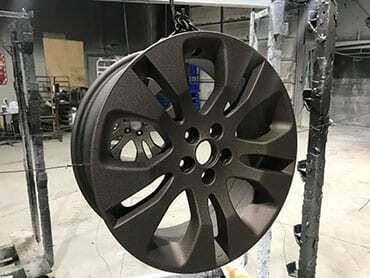 My son had his Subaru wheels sandblasted & powder coated and we were amazed with the results. I will definitely bring all my business back to this shop. The price was very reasonable and the staff was very helpful with our questions.